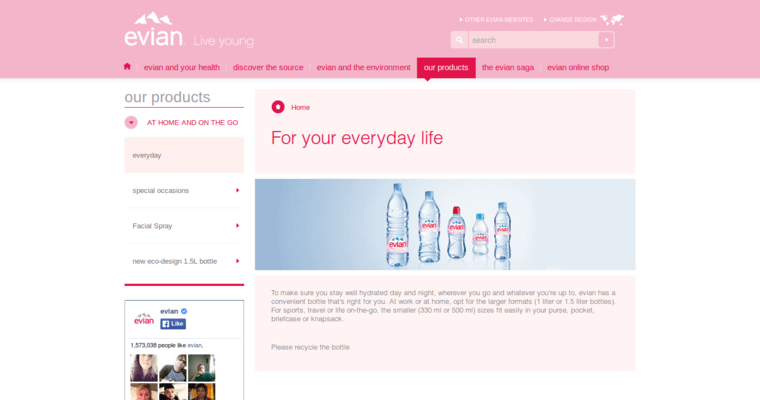 Evian is a uniquely balanced water that is unlike no other brand found on the market. 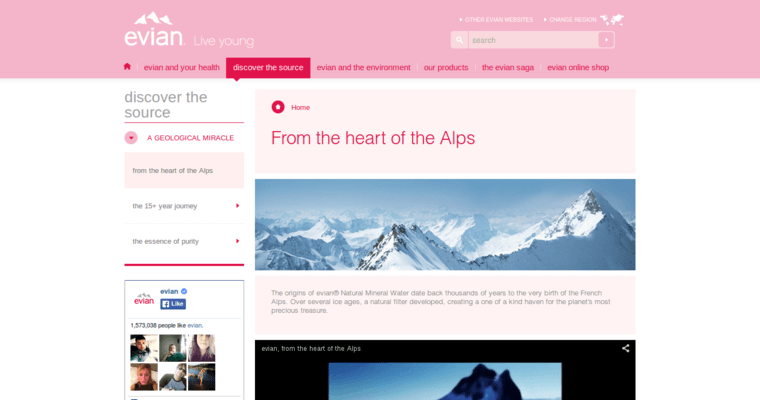 Evian starts out as rain and melting snow found on the peaks of the Northern Alps. The Alps then filters this water through their mountains at a rate of less than one inch every day. As the water filters through layers of glacial sand it is done so without chemicals, allowing it to become a pure, refreshing beverage that satisfies all those who drink it. From there this water is sent all over the world, hydrating consumers and delighting their taste buds with the many flavors they offer.